If you have a cafe or retail outlet and you would like to stock the Art of Tea products, please fill in the form below. The Art of tea will then email you the wholesale information. “The Wine Bar and the Cafe operating at MONA proudly serve tea supplied promptly and reliably by The Art of Tea. Julian Butschek, Restaurant Manager, Peppermint Bay Tasmania. Chloe Proud, Restaurant Manager, Ethos eat drink. Elizabeth Street Hobart. I am happy to introduce Samantha and The Art of Tea who provides our Cellar Door store with her range of tea and accessories. We are the largest southern Tasmanian winery including a restaurant, art galleries, function centre and cellar door shop. The Art of Tea products complement our locally sourced products from around the state. 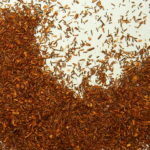 We have great success in selling various varieties of tea, in particular the Tasmanian blends. The unique packaging is attractive and is easy to display on shelves. The Art of Tea produces exceptional quality teas and they are well known throughout the state. Samantha provides us with a personable service which includes prompt delivery, providing and refreshing smelling tester jars for guests to sample, and attention to individual business needs. We are currently working with Samantha on creating our own Meadowbank blend of tea displaying our logo and contact details. “Our cheesery, restaurant & café overlooks the stunning D’Entrecasteaux Channel in Sothern Tasmania, & attracts people from all over the world. We provide cheese tastings & serve seasonal platters accompanied by locally made wines. Our decision to use the art of tea was easy. Like us, they pride themselves in quality, and are a proud Tasmanian business. Their high quality teas compliment what we offer to our customers. Diane Rae, Grandvewe Cheeses, Birches Bay Tasmania. Speciality sheep cheesery. With a brand that is well established (since 2000) and trusted, we welcome new cafe’s, resaurants & providores where ever you in Australia! We look forward to hearing about your business and how we can help you too!